I don't believe I've talked about The Clash yet on the blog! I did a post after "Train in Vain" but I chose the Annie Lennox version due to the focal point of my topic. I find it impossible to not love The Clash, aka "the only band that matters." And with all of the London buses all over my dress, it was an obvious choice to name this post "London Calling." PS- Happy Memorial Day to all of those in the states from my partner and I from Just Shair! Stay safe and remember what this day is really about while you're picnicking! Your dress is so cute, I am obsessed! The dress is so charming! Love that song, perfect choice Lauren! Such a beautiful dress, Lauren! 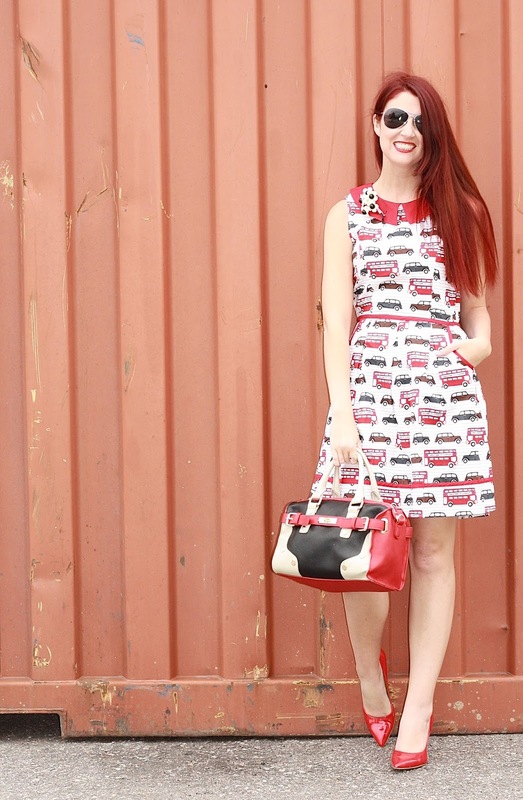 I love the novelty print, it reminds me of this skirt I've seen floating around (that I LOVE) that has the red London photo booth, so cute! I hope you had a memorable Memorial Day, thanks so much for sharing, girlie! 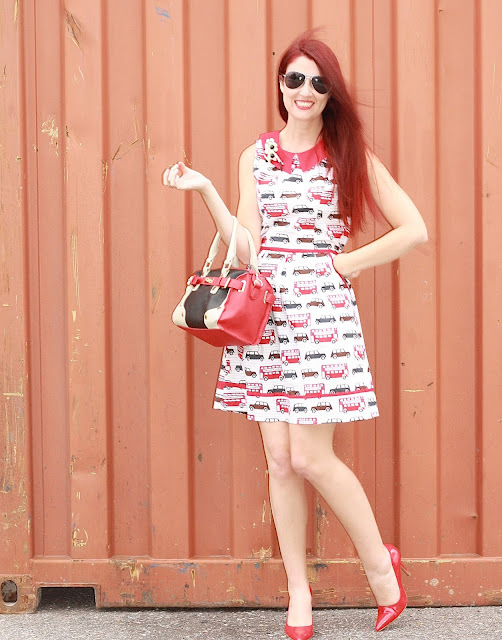 I need to check out Retrolicious -- this dress is just to die for! You look stunning! That dress is adorable and looks wonderful on you! Wow, I can't believe you haven't talked about the Clash before now, either! This dress, like every other Retrolicious dress I've seen on you, looks perfect on you! Legs for days, babe! Cutest dress and print! Novelty ones always have a special place in my heart. I love their whimsy! Great styling with all of the red, black, and white details! What a darling dress! I really love the collar! Your brooch looks super cute too! :) I hope you have a great week, Lauren! 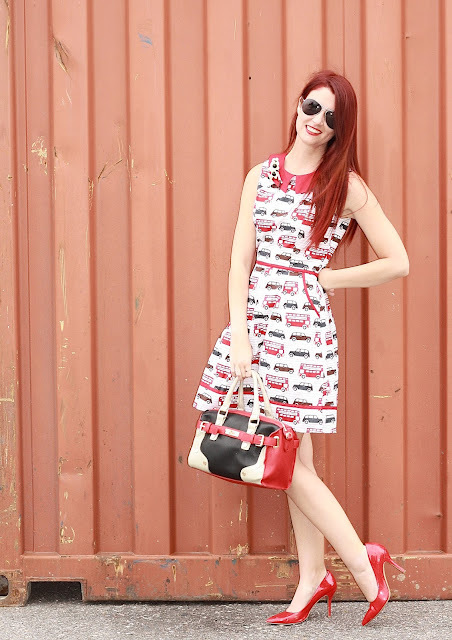 Fabulously cute dress! 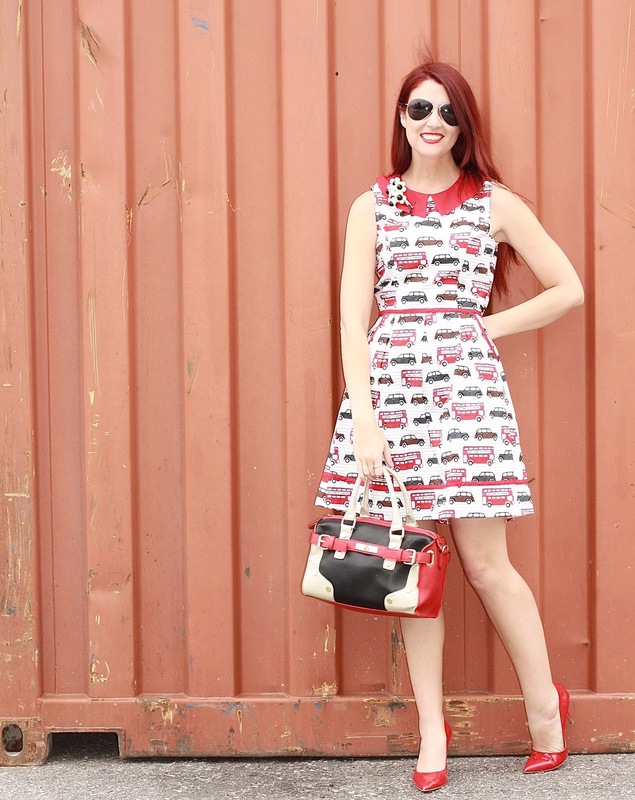 I'm a huge anglophile, so that darling print is so up my alley. 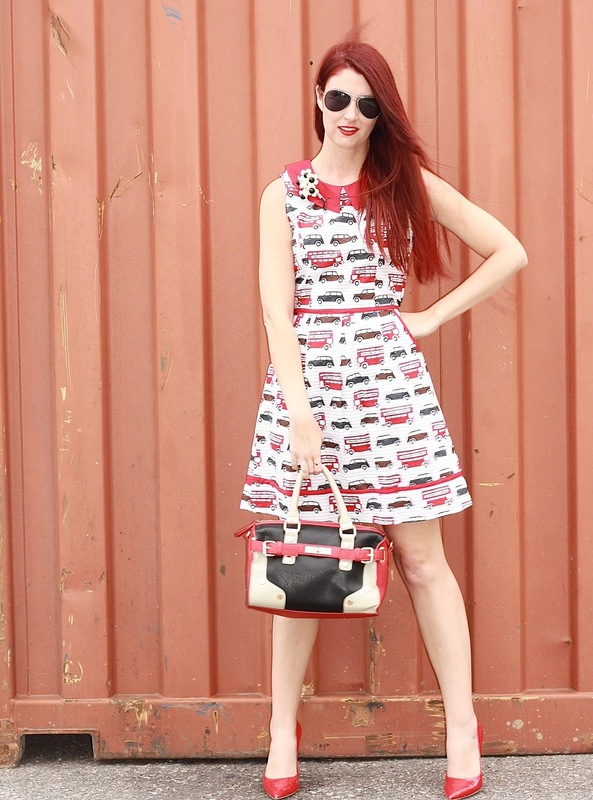 This is such a cute car print dress! The pops of red accents really make it all come together. Nice lipstick too! Love this dress on you Lauren! The colors are so perfect on you and I really like the length on you too! Love everything you've paired with it! So perfect!